I recently enrolled in their site, for free calls. The call that they provided were ‘PROFINC’ or ‘PRO FIN CAPITAL’ on March 5th, 2019. The stock price was 275, and it was traded only in BSE. So I was watching stock, within 10 days the stock price went to 300. But all of a sudden, on the 11th day the stock went 20 % down, and there are no buyers to buy the stock. Within a single day the stock went down 20 %. Today the stock is trading at 125. I have also registered the complaint to SEBI and BSE investigation team. None of them have yet found who is behind this scam. 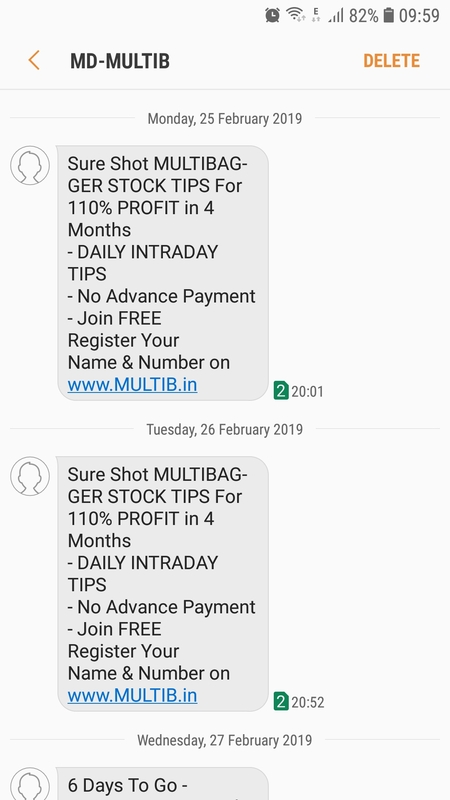 I have lost Rs 50, 000 /- in this scam. Please suggest how to get back my lost money.